I mean the one about partitions. What is a partition? It’s simply a way of splitting up a number (a positive integer) into smaller pieces. For instance 2+2+1 is a partition of 5. The question is: how many ways of doing this are there? Well there’s just one partition of one, namely 1. There are 2 partitions of two: 2 and 1+1. What’s the pattern now? Finding an explicit formula for the number of partitions of is seriously hard. 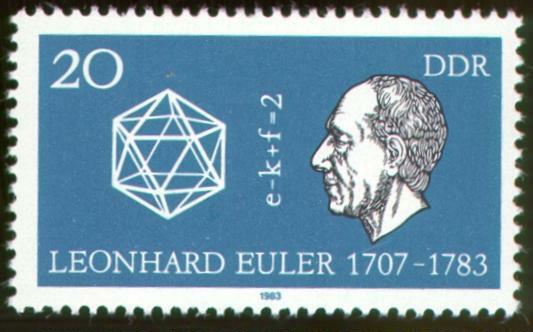 Even Euler couldn’t manage it. But he was able to make some progress: he found a generating function. Next question: what is a generating function? To answer with an example, the generating function for the sequence is the power series . More generally, the generating function for the sequence is a series: . Next question: what’s the point? Often the resulting series can be radically compressed. For instance, a bit of mathematical magic tells us that the series can be rewritten as . Now the whole infinite sequence has been encapsulated by a short, simple algebraic expression. So, if you want to know the th element of the sequence, you can extract it (if you know how) fairly easily from the generating function. On first sight, this looks like an algebraic nightmare: you have to open up an infinite number of brackets, each of which contains an infinite series! However, if you want to compute the th partition number, you only care about the first brackets, and only the first few terms in each: from the first bracket you care about the first terms, from the second bracket approximately the first , from the third approximately the first , and so on. In fact the total number of terms you need to worry about is approximately , which is a manageable number when is not too big. So although Euler didn’t find a formula for partition numbers, his generating function does provide a manageable procedure for computing these numbers. But what of an actual formula? As grows bigger and bigger, this number gets proportionally closer to the right answer. But what about an exact formula? That’s something there has been huge progress on in recent years… but perhaps that’s a story for another day. There are issues of convergence here, which I will ignore for now.